Hello! 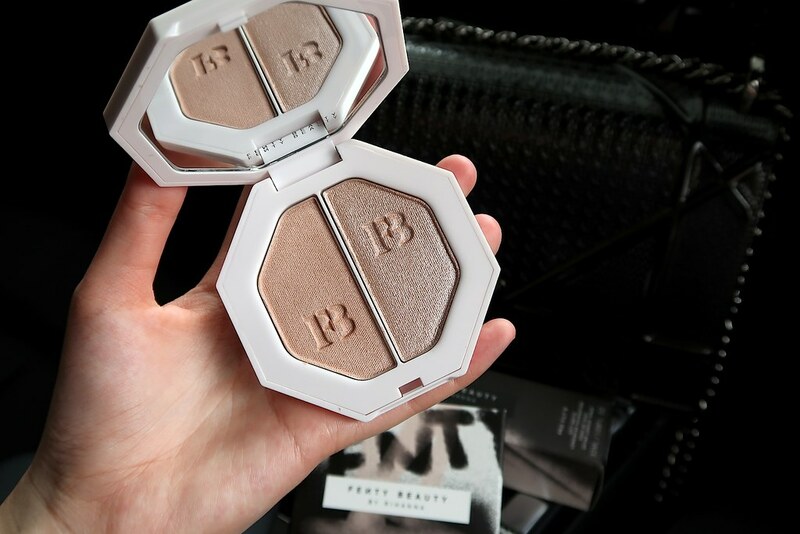 It has been only 2 weeks since the highly anticipated launch of FENTY BEAUTY by Rihanna! 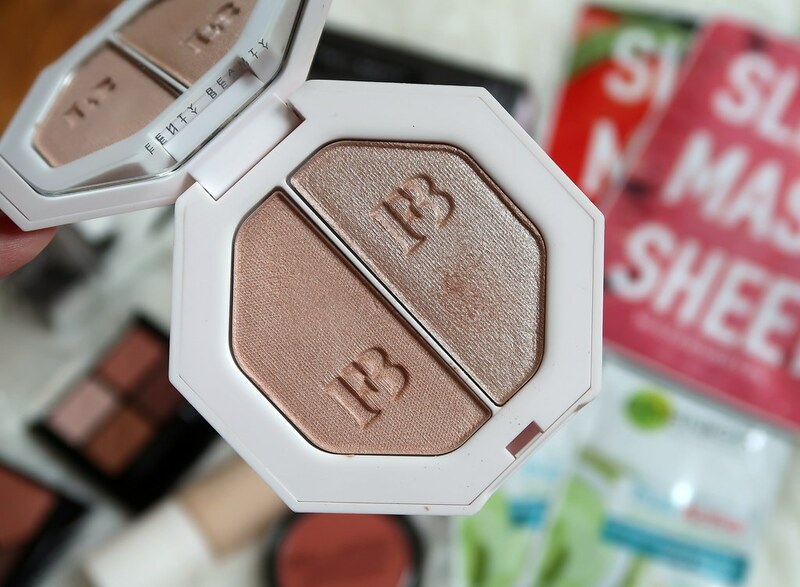 And I am so excited to share with you my thoughts on these 2 products! 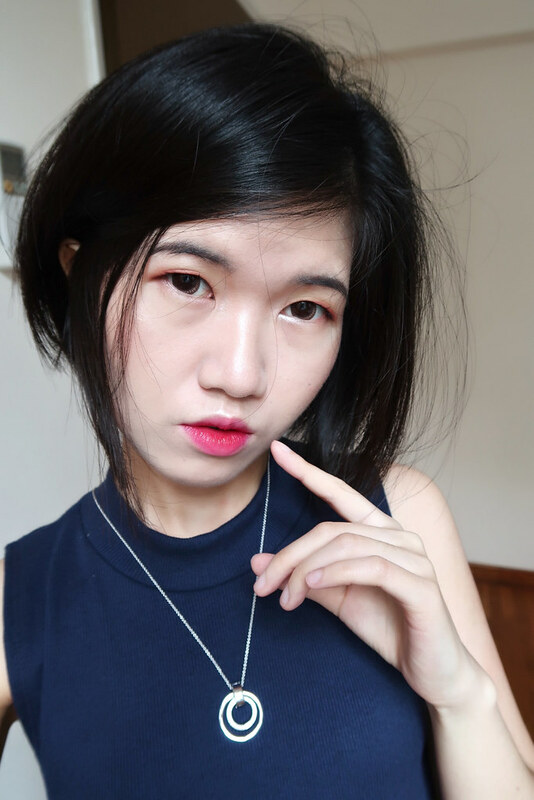 Read review of Fenty Beauty Pro Filt’r Soft Matte Foundation here. I’ll sharing swatches and thoughts on the KILLAWATT LIGHTNING DUST FIRE CRYSTAL Freestyle Highlighter Duo in this post! The quality is amazing, guys! 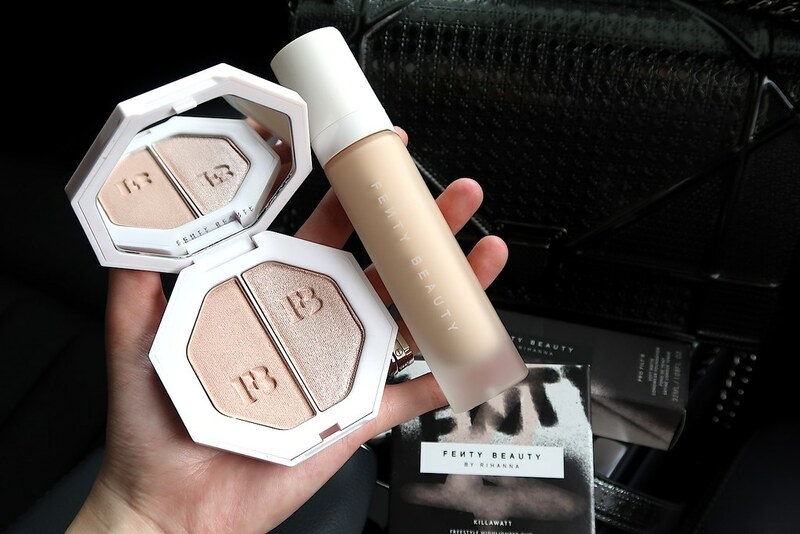 Rihanna released 4 highlighter duos and they are all so pretty, I wished I could bag home all 4. However, I gotta be realistic. Since I’ve fair skin, even the Sephora staff told me this shade looks best for my skin tone. Here’s how it looks like on me. I wished I could have taken a better shot of the highlighter. I would say it’s in between subtle and bling. It’s very wearable. It’s definitely suited for all occasions. The quality is there. It feels so smooth and creamy. It’s not like those chunky glitters. They look and feel luxurious. Oh, the left shade is more subtle, while the right one is more shimmery. I like to combine both together for a more highlighter look. Oh oh, and this doesn’t emphasize my pores! Having said so many positive things, I gotta admit there’s nothing special about the packaging. Also, the shade isn’t very unique either. 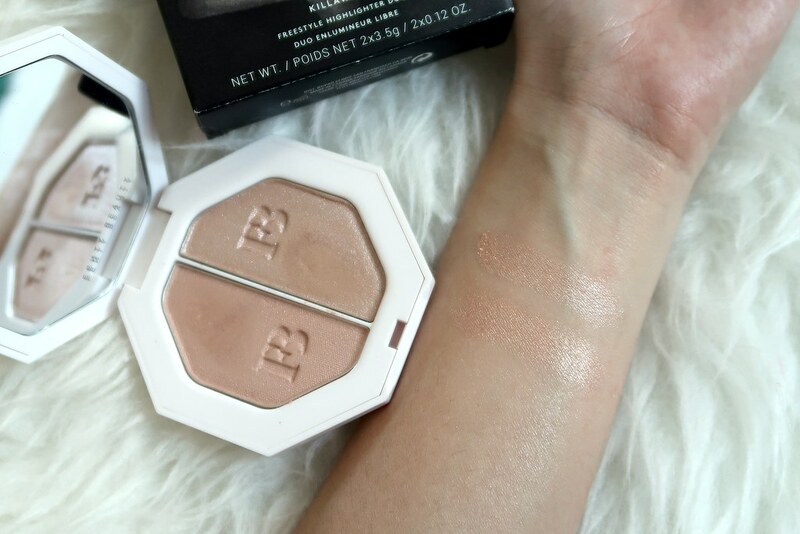 Overall, this is an amazing quality highlighter. I love the quality and undertone. It retails for SGD50 and that’s a good price. Becca cosmetics highlighters are already more than $50. I would highly recommend you to check it out!